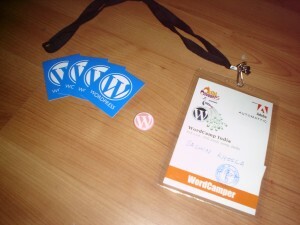 Well O’ well finally the day was here when the India’s very first wordcamp is gonna happen. And i was there early morning, never wanted to miss even a bit of it. As i was already regsitered on the website so just got my welcome kit (sorry no tshirts :() and entered the venue i.e. Adobe India. Quite amazed to see many people and they look different compared to their pics online, certainly i was the one who looks pretty different as well. All day it was fun packed sessions and we had an awesome lunch in the giant cafeteria of adobe.